Today, novels about jury trials focus on the efforts of flashy lawyers who try to persuade jurors that their client is innocent. The jurors always seem to be 12 people who are rather dim witted and have no personalities. In the mystery Verdict of Twelve, Postgate takes a very different approach. The book begins with a look at each one of the jurors, ten men and two women, so that the reader is aware of their personality, their past, and the events in their life which could effect their decisions. Mrs. Rosalie van Beer is on trial for the murder of her young nephew. Mrs. van Beer disliked her nephew, and he, in turn, hated her.The lawyers are not especially gifted. A very unusual form of poison was used in the crime, and the elderly family physician and a young doctor he called in to assist failed to detect it in time. The case proceeded in the usual manner. The jury members did have their person thoughts as testimony was heard. Then the jury members retired to the jury room to reach their verdict. I will not provide a spoiler by telling you any more. I enjoyed this book, and I highly recommend it. Raymond Postgate (1896 - 1971) was from a wealthy family and studied at St. John's college, Oxford. He rebelled against his conservative family and he refused to serve in the army He joined the Communist party but left it later to join the Labour party. 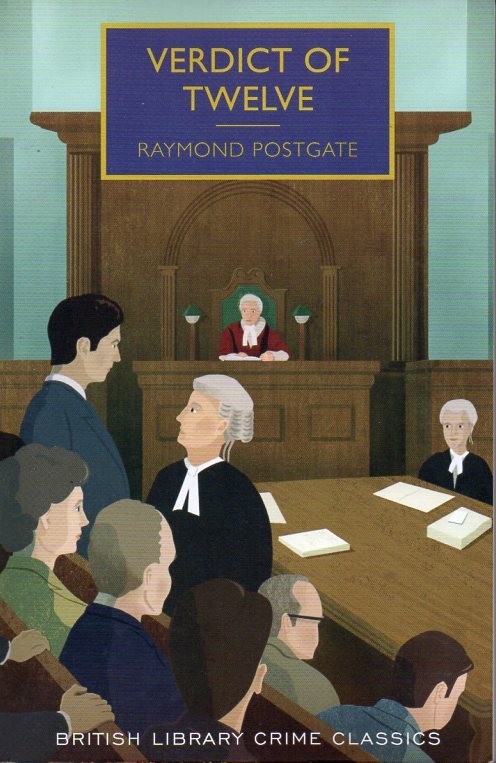 This book, Verdict of Twelve, which was published in 1940 has long been considered as a crime classic. Postgate wrote 2 other mysteries which were poorly received, and he quite trying to write mystery novels and, instead, began writing The Good Food Guide. I have read this book for the 2018 Just the Facts, Ma'am challenge. 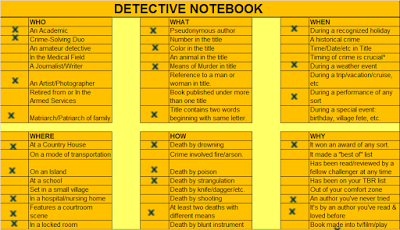 It will be entered in my detective notebook in the Category Where - Features a courtroom scene. Indeed this novel mainly deals with courtroom scenes.